gah, I cannot believe it's been a week since my last post. I blame the heat for this. This is a post I've been meaning to make for a while since I saw some of you were interested in the polishes I picked up from London. 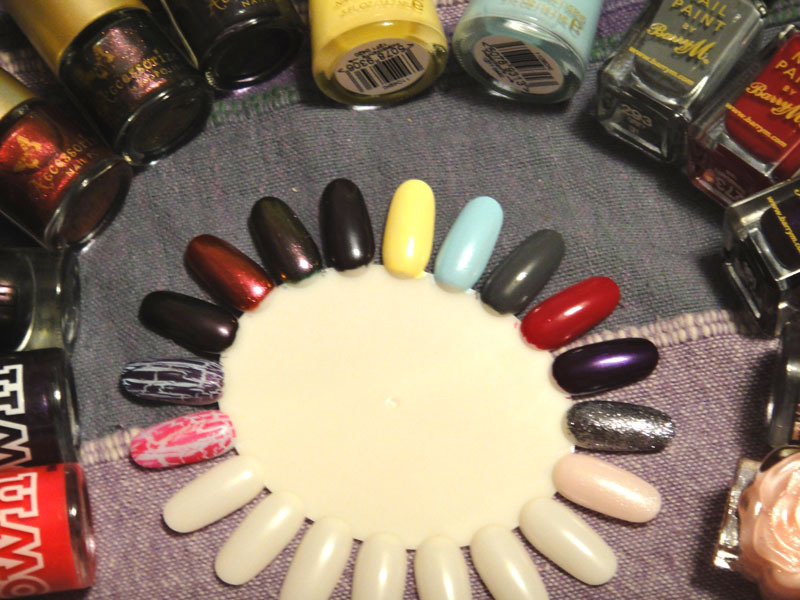 So I swatched them all on a nail wheel. 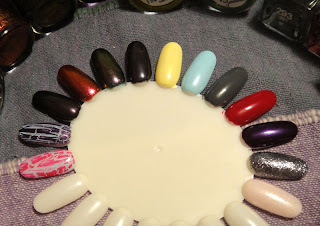 All swatches are two coats each without topcoat. Model's Own Smash Up in Pink and Purple (layered over BarryM grey), GOSH Purple Heart, Accessorrize Pink Spice, Aztec, Notorious, Revlon Sunshine Sparkle and Blue Lagoon, BarryM Grey, Raspberry and Vivid Purple and finally a grey glitter and a pink shimmer from Claire's. Wow all these colors are beautiful ! wow! models own are amazing!! and I love the yellow revlon Too!! I have told you before that I envy your collection...love the crackles and the last grey glitter color! kisses!! Πολύ όμορφα χρώματα,ειδικά αυτό το κίτρινο!! Φιλάκια και καλή εβδομάδα! It's so hot here to.. I can't live without a/c.. 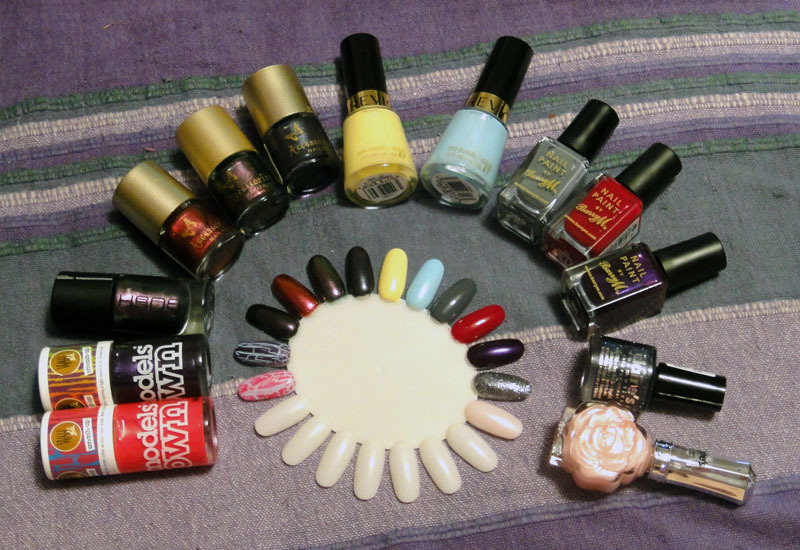 I love all the polishes.. I can't believe that I didn't buy any while I was visiting London.